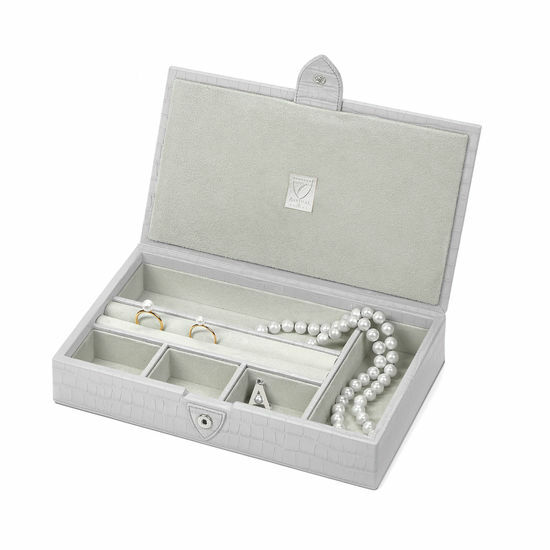 Practical and effortlessly elegant, our Paris Jewellery Box makes a refined place to store your precious jewellery. 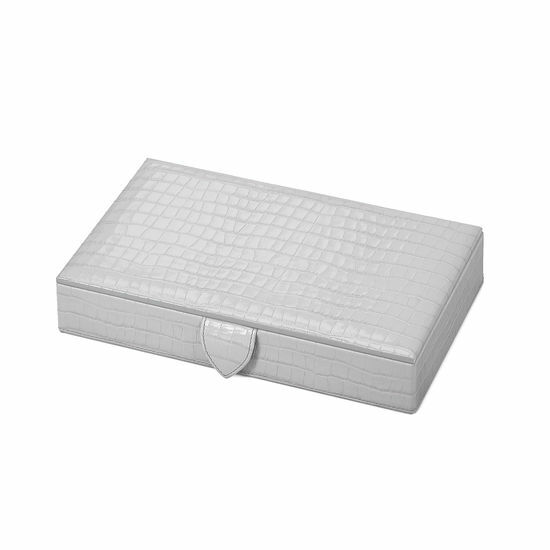 Hand-crafted from the finest deep shine dove grey small croc Italian calf leather, this piece makes an opulent addition to your dressing table. The spacious interior is lined with sumptuous suede and has room to fit your favourite jewellery. 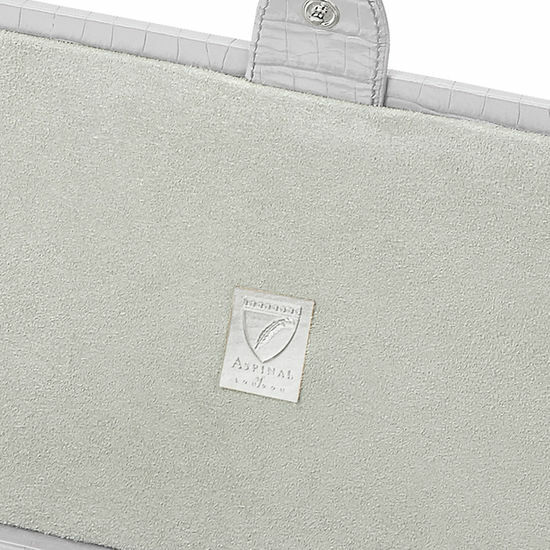 With two rectangular compartments for necklaces and bracelets, three smaller square compartments for earrings and brooches and one delicate ring cushion, youâ€™ll soon rely on this decadent accessory to keep your favourite pieces safe. To personalise it, have up to four initials added to the bottom right of the lid.